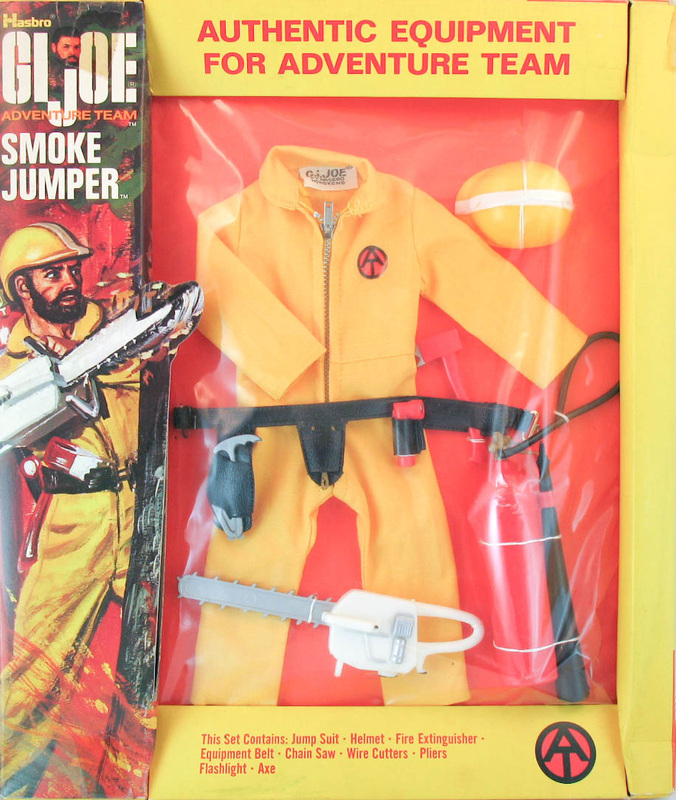 The Smoke Jumper (7371) takes Joe to the front lines of fighting forest fires. Repurposing equipment from the earlier Crash Crew and Mysterious Explosion sets, along with a recast of the State Trooper helmet (with the badge removed) likely helped reduce the production cost of this set. Later versions cane with a snap up jumpsuit rather than a zipper, and a helmet with a sticker for a stripe rather than the painted version.